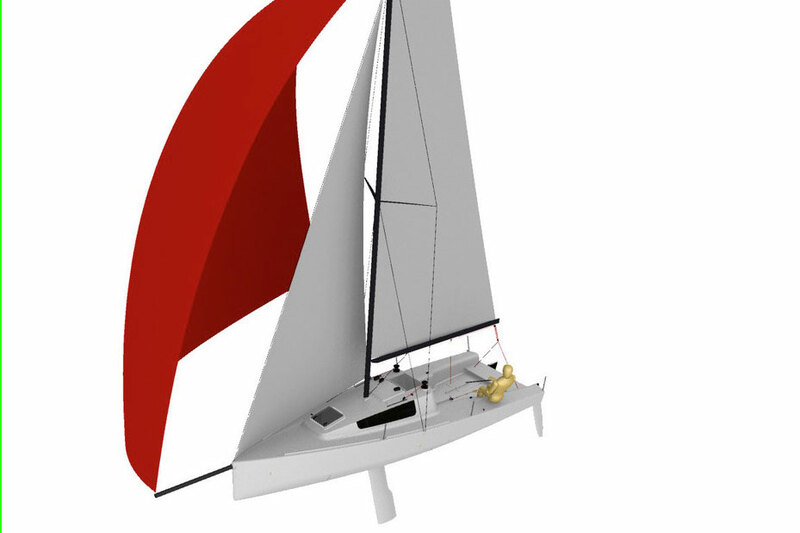 The CNB 76 blurs the lines between production sailboat and custom yacht. The largest sailing yacht offered by CNB, the 76 is built on a production basis but has all the amenities of a custom yacht. 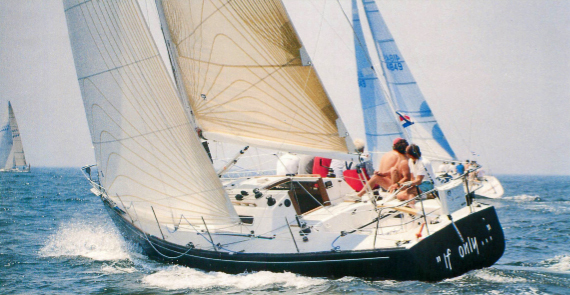 CNB is a division of Beneteau—the world's largest builder—and clear from the start is that this sailboat has crisp, clean lines. 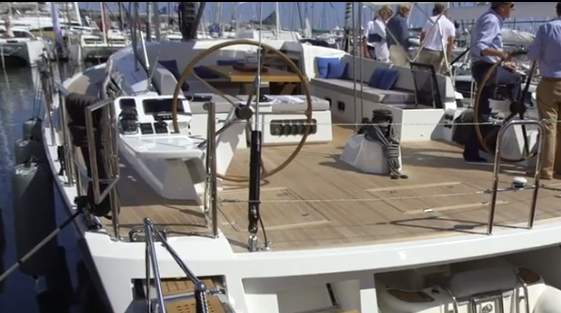 A flush foredeck, combined with a low-profile deck saloon coachroof, provide both eye-appeal and deck space. 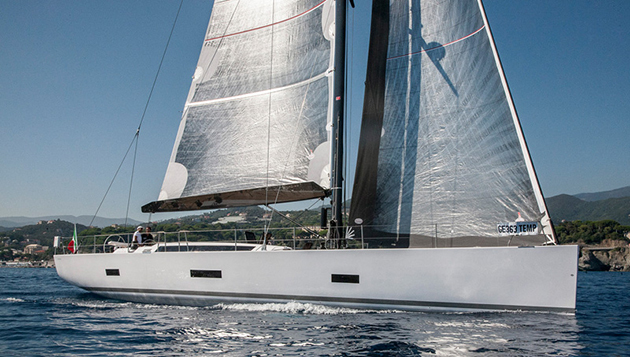 The CNB 76: is a capable cruiser, but it's also speedy under sail. 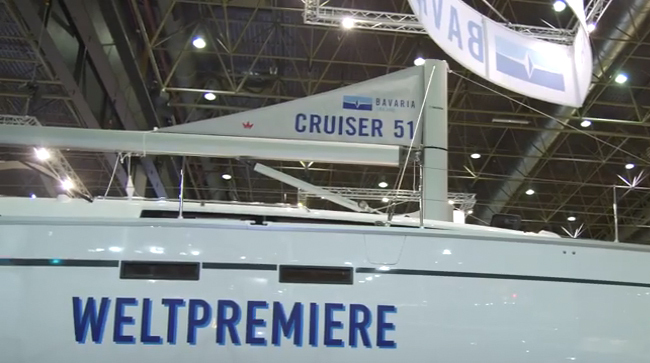 This short First Look Video, which our UK editors filmed at the Southampton Boat Show, will give you a first-hand glimpse of the CNB 76 both above and below decks. The layout on deck has been designed to minimize the effort and crew needed to handle the 76 under sail, while providing separate areas for leisure and entertaining. And since twin helms provide easy access to all the controls, guests can enjoy the forward section of the cockpit without crowding the captain. Halyards and reefing lines are handled at the mast, but all of the other sailing functions take place next to the two wheels. The guest cockpit is protected by a sprayhood and Bimini, and offers comfortable cushions and a dining/coffee table. There’s also a huge fold-down swim platform aft, which encloses a tender garage large enough for a 12' RIB. Below decks there's a full-width saloon with panoramic views, a large galley, and owner’s and guest cabins. The owners’ cabin is in the forward part of the yacht, has its own private head, and is brightly lighted both from overhead hatches and horizontal hull windows. Two main guest cabins are forward of the deck saloon, and both can be converted from double to twin berths. There's even a dedicated double/twin crew cabin plus an optional smaller crew cabin forward, in what otherwise becomes a sail locker. A big engine room under the saloon houses the main engine, generator and ancillary equipment. While it's a bit tight in the headroom department, it’s a good compromise that doesn't take a chunk out of the boat's living space. The galley is a good example of a bright and clean interior decor. The hull of the CNB has an almost plumb bow and shallow forefoot, plus a broad transom with chines and twin rudders. 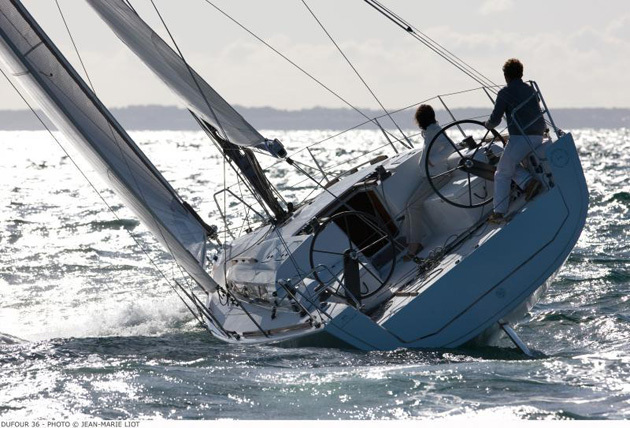 It also has a significantly lower beam-to-length ratio than most smaller cruising yachts. As a result it's easily driven, yet its powerful rig has the potential to get to double-digit speeds. 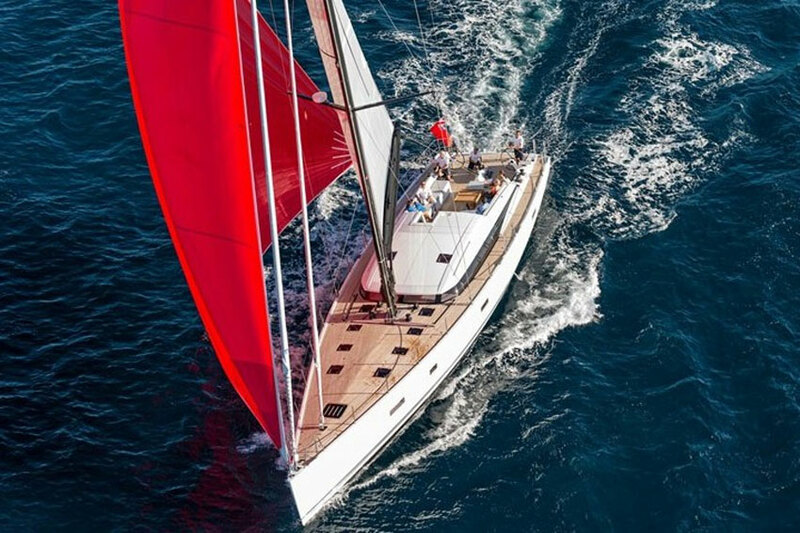 Those interested in a top-shelf cruising sailboat that's still fleet on its feet should find this combination—along with the 76's yacht-like touches—quite attractive. 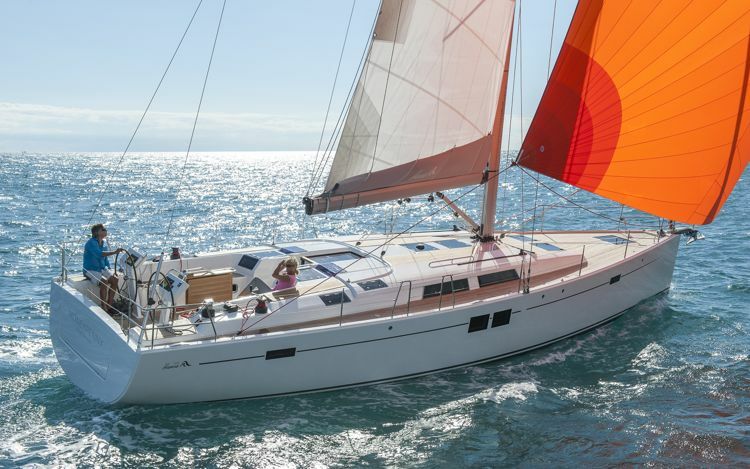 Other Choices: A smaller but quite yacht-like option would be the Hylas 63. 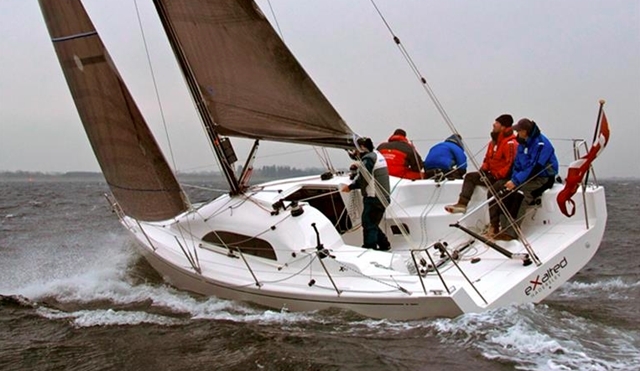 If you're interested in going larger, have a look at the Oyster 825. For more information, visit CNB. Sail Area 1,722 sq. ft.